Evidence of early man found in Israel Jump to media player Archaeologists excavating a cave in central Israel believe they have found teeth belonging to the earliest Homo sapiens that could be around 400,000 years old. 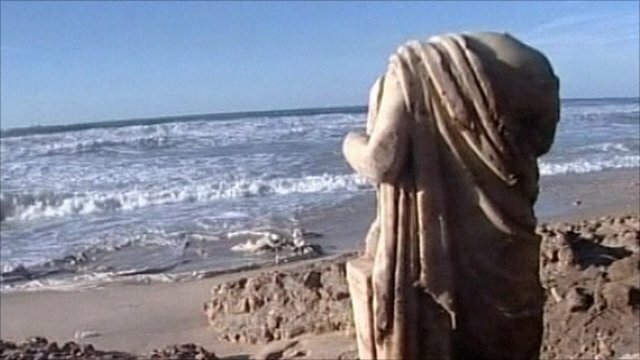 Storm reveals ancient statue in Israel Jump to media player A Roman-era headless marble statue buried for centuries has been unearthed after a storm raked Israel's coast. 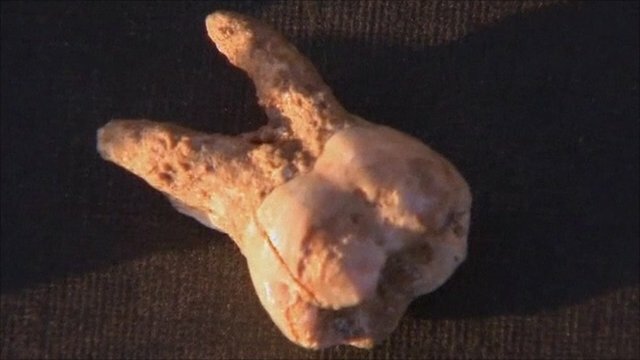 Archaeologists excavating a cave in central Israel believe they have found teeth belonging to the earliest Homo sapiens that could be around 400,000 years old. The team of scientists who have been excavating Qassem cave, a pre-historic site that was uncovered in 2000, say the size and shape of the teeth are very similar to those of modern man. Homo sapiens are believed to have originated in Africa and migrated out of the continent. Professor Aviv Gopher from Tel Aviv University says that further research is needed to solidify their claim, but if they are proven right, it could change the concept of human evolution.